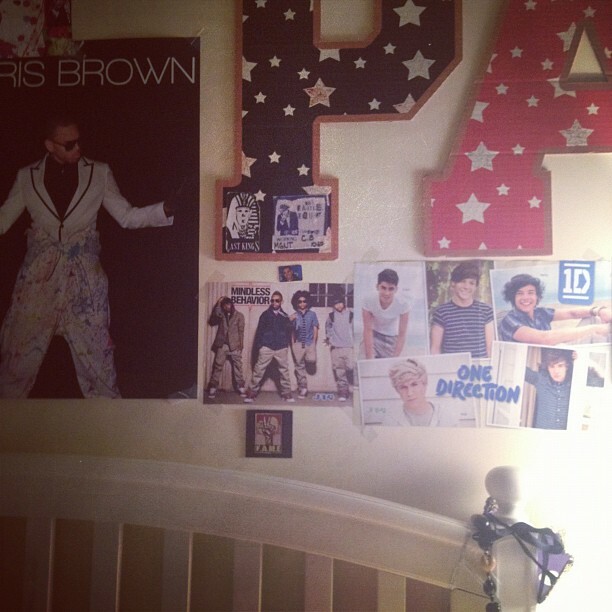 Michael Jackson's daughter Paris Jackson's bedroom Posters of 1D, Chris Brown and Mindless Behaviour. . Wallpaper and background images in the Liam Payne club tagged: ♥. This Liam Payne photo might contain sign, poster, teksto, and pisara.